Bing Ads Video, Text, Mobile advertising network details. Our continuous innovation streamlines the workflow of digital advertising, so that customers enhance their brand creatively, engagingly and efficiently. 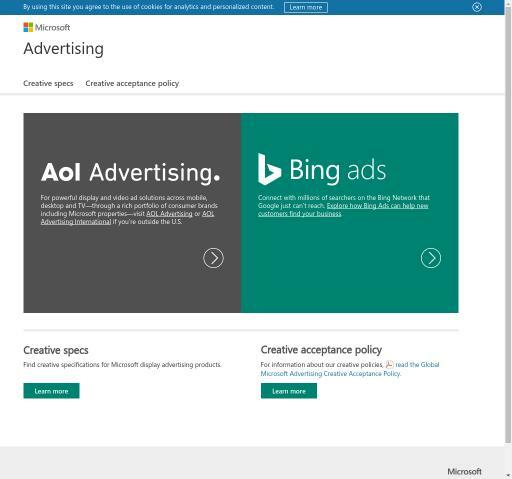 With Bing Ads, advertisers and marketing agencies reach online users in the Bing Network everywhere or focus on your paid advertisements on targeted area, whether it is cities, counties or faraway area. Our clients enjoy that they easily pull the campaign that they’re already using another product for search engine marketing, such as Google Adwords. As an essential part of your customers’ life, the Bing Networks strengthen the devices, apps and sites they use on a daily basis. Our power is reflected through 145 million unique desktop searchers on the Bing Network, 6 billion monthly desktop searches on the Bing Network, accounting for 33.8 percent of US desktop search market. You can check Bing Ads reviews on Affbank and ask Bing Ads Team any question by using the contacts above, especially about how to earn money!